CaRMaH was contacted to assist in the recovery of a missing pet cat in Acton. 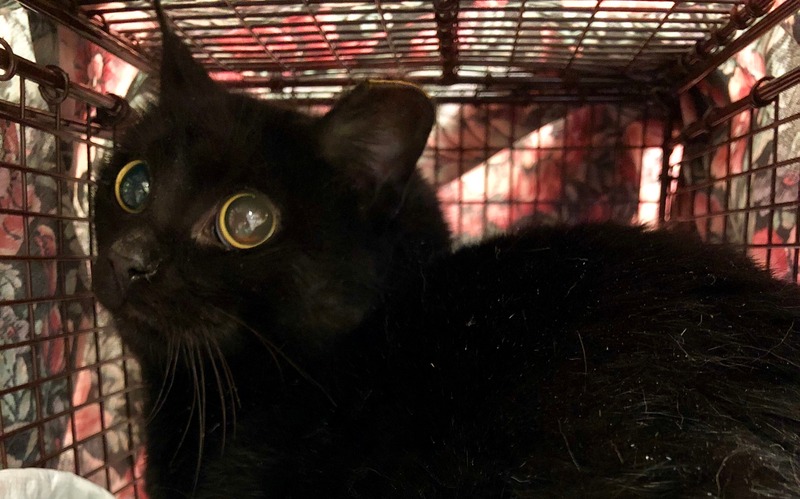 In the process, a feral cat in desperate need of help wandered into one of our traps. We named the cat "Golden." Golden had a wounded and badly infected tail. Immediately after being trapped, Golden was taken to a veterinarian. Golden's tail was in such poor condition that amputation was deemed the best course of action. Golden's surgery was successful and she is recovering beautifully. At CaRMaH, we believe every cat has a right to a happy and healthy life, no matter if they are tame or feral. This fundraiser is to help cover the cost of Golden's surgery and after care and to ensure that we can continue to help cats like Golden. Love You Carmah and the work you do!